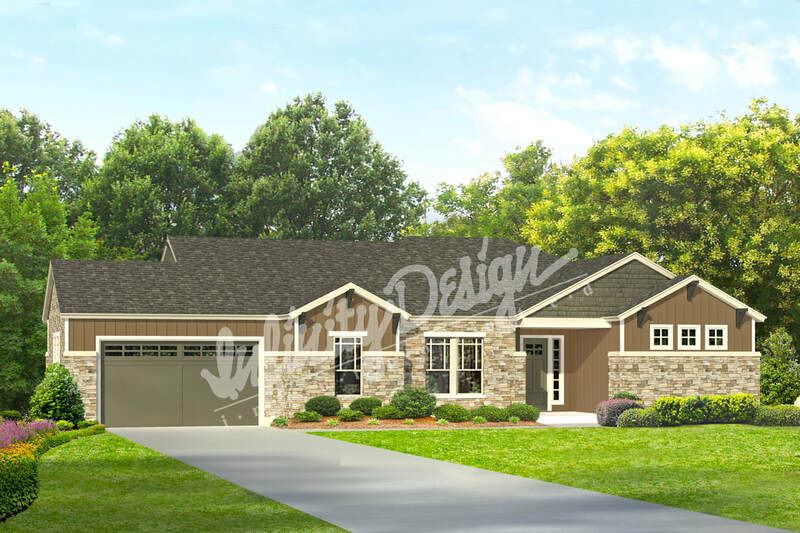 This craftsman style home, suited for a wide lot, features an open floor plan with lots of windows for natural light. 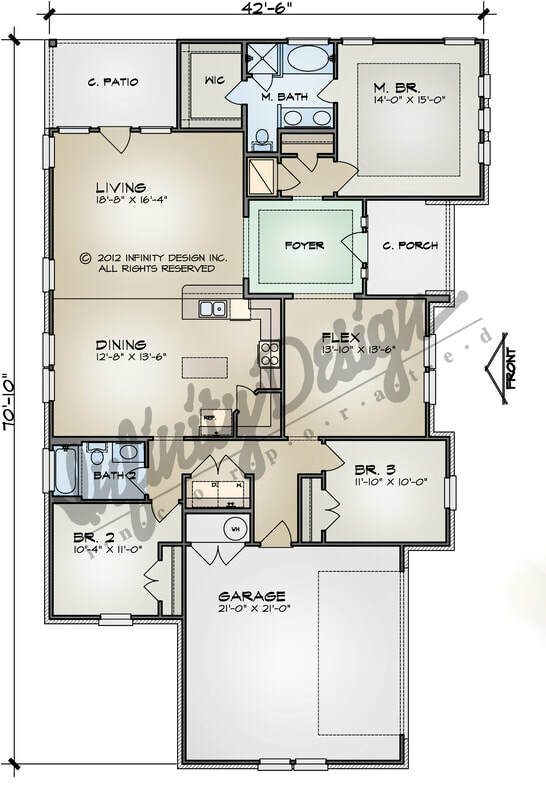 The master suite is nestled away to it's own part of the house, with two secondary bedrooms on the opposite end of the house. A flex space can be used as a study or formal dining room, with an option to be a fourth bedroom.